Apex Legends Official Hoodie features all of the current legends in this hit game. Apex Legends has become one of the most popular games in recent times. Available on both Playstation and Xbox it was developed by EA Games. 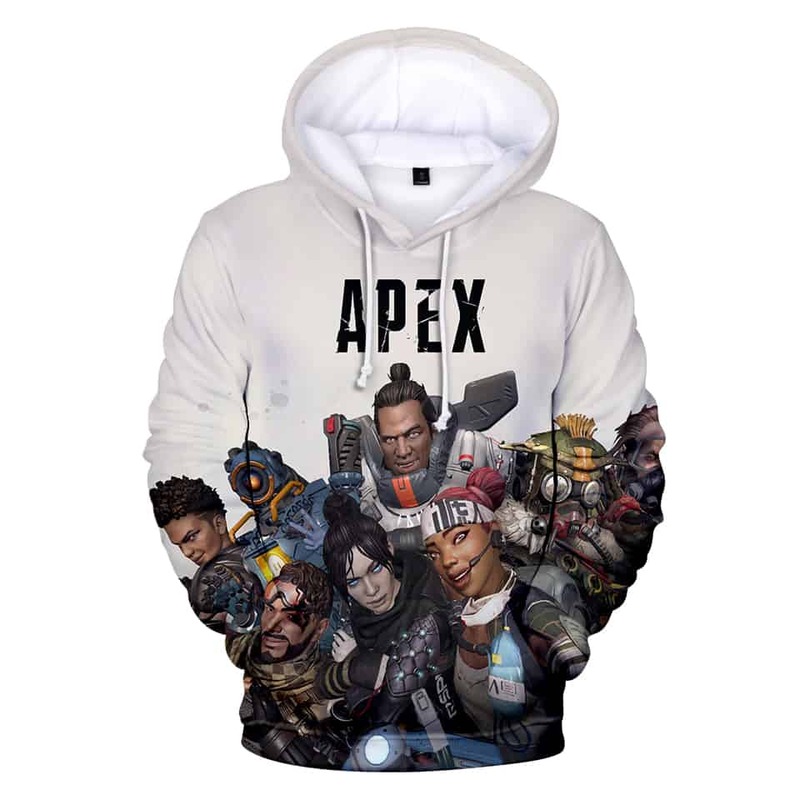 This hoodie features a white backdrop with the game title in the background, along with all of the Apex Legends.